Both the tur dhal (known as red lentil or split pigeon peas) and the split moong dhal (known as petite yellow lentil) are rich in protein, both of them provide fiber and carbohydrate, they have good amount of calcium, magnesium and potassium, they are low in saturated fat and cholesterol free. 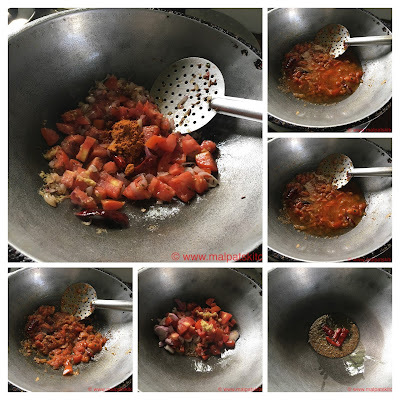 In a pan, add oil and ghee, season jeera and red chillies, then add onions, tomatoes and the sambar powder, salt and saute till the tomatoes become mushy. Add some water to the sauteed mixture. Garnish with fresh coriander leaves, and serve with Aloo-methi rotis.